Join us each and every Wednesday evening for our midweek services beginning at 7:00 PM. Welcome to Winan Missionary Baptist Church and winanmbc.church. We are located in Hot Springs at 222 Golf Links Road in Hot Springs, AR. We are glad that you are visiting our website, but we would be so blessed to have you come and visit our church. Winan Missionary Baptist Church was formed from a mission into a church in June 1951. We just celebrated our 67th year as a church in June. 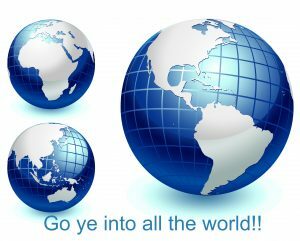 We believe in the Great Commission and going into ALL the world, preaching and teaching the word of God. And Jesus came and spake unto them, saying, All power is given unto me in heaven and in earth. Go ye therefore, and teach all nations, baptizing them in the name of the Father, and of the Son, and of the Holy Ghost: Teaching them to observe all things whatsoever I have commanded you: and, lo, I am with you alway, even unto the end of the world.